There will be no second chances for the English. Pool A will rightly claim its place as the group of death and with all of the pre-tournament expectation placed firmly on their shoulders their mentality will be questioned. The advantage of playing in Twickenham, their right as tournament hosts, may well be offset with one misstep. Any taken here will be disastrous. Going into the tournament Stuart Lancaster will have been hoping that some of his more serious decisions will be have been made for him with performances in the warm up matches. But the question still remains as to who will play in 10. Both his options are young and dynamic and both come from great rugby pedigree. 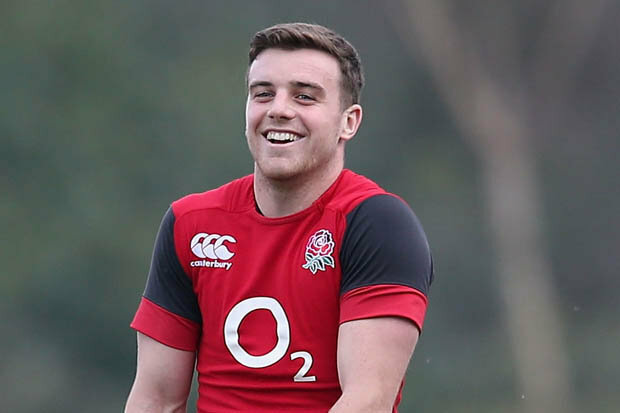 George Ford has previously spoken of how he was in the English dressing room with his father Mike, at the time a defensive coach with the English, when they last contested a final in this tournament in 2007. Farrell’s father also has a strong rugby background having played for his country in both Rugby Union and Rugby League. The differences in their respective styles may give an insight into how Lancaster wishes his team to play against certain opponents. While Ford is undoubtedly the better ball player, Farrell has a physicality that is lacking in his compatriots game. It would not be surprising to see them mix and match throughout the pool. The other problem position for the English lies in inside centre, where their options are limited with none providing a truly natural fit. Lancaster and his coaching staff will have hoped to have solved this position come the 18th because if they have this is a team with tournament winning potential. Their pack is strong and commanding and outside they have some of the fastest players in the tournament. If they can get off to an easy strong start the crowd may carry them over. Don’t and they will find Twickenham to be a lonely place indeed. Dominant victors in the Rugby Championship this year Australia enter this tournament with something that almost beggars belief; a workable scrum. For years the Australian’s set pieces were seen as subpar but as victory against New Zealand this year has shown they have finally turned a corner under Michael Cheika. With a blend of pace and power in the pack it is impossible to see them being bowled over by Northern Hemisphere strength. They enter into this tournament with a strong pecking order in vital positions with the excellent Quade Cooper expected to dominate from 10. The pack also boasts in David Pocock and Michael Hooper two players who are absolutely devastating on the break down. Expect them to win a lot of turnovers for the Wallabies. Their backs are without question fantastic and in Israel Folau they have a genuine contender for one of the best in the world. At scrumhalf they are weak and in this their tournament may be lost. Without a good link between the pack and the backs they will struggle greatly throughout the competition. With one and the sky is the limit. Warm up games are meant to prepare you for the tournament. Ideally they are not meant to put two of your starting players in hospital. Leigh Halfpenny is a serious miss for Wales, one of their most consistent performers over the past few years. Their strong showing in the six nations should have stood them in good stead (they lost the championship on points difference after all) but now it is very difficult to see them progressing from the group. Their recent form against England leaves something to be desired, they lost their last two games to England and last won in Twickenham in 2012. In Gatland however they have one of the most experienced coaches in the game and their squad is one of the most experienced in the cup. North will lead the cadre of young Welsh players aiming to prove that they are more than the sum of their parts but they may rely on results from elsewhere. The Fijians have been given a stroke of horrible fortune in the draw for this group. They enter the tournaments as the winners of the Pacific tournament. In their ranks they boast some of the best athletes in the tournament and their offloading game has gained admirers throughout the world. Their traditional weakness in set pieces may be behind them judging on the pre world cup fixtures and if any of their opponents underestimate them they will find a horrible surprise. More than likely to be king makers of the group; a win for them and someone will undoubtedly miss out. For a full disclosure I know absolutely nothing about this team. If they share the mentality of their footballing brethren they will be competitive throughout. Don’t expect them to score bar the odd penalty mind.